The diversity of towns along the River Murray is extensive. Many regions such as Albury Wodonga, Echuca Moama and Yarrawonga Mulwala have developed as twin towns sitting in New South Wales and Victoria. 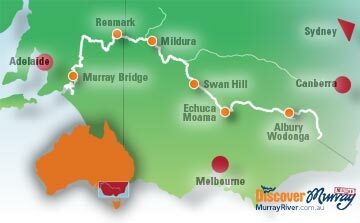 Not all towns along the River Murray are listed on this page. If you want your town on this website please contact us.